As the North American reseller for Terrasolid’s software suite, we get to work with the majority of the LIDAR production shops in the US and Canada. The Terrasolid suite – TerraScan, TerraModeler, TerraMatch and TerraPhoto – continues to be common-place on the production floor regardless of the type: airborne, mobile or terrestrial. 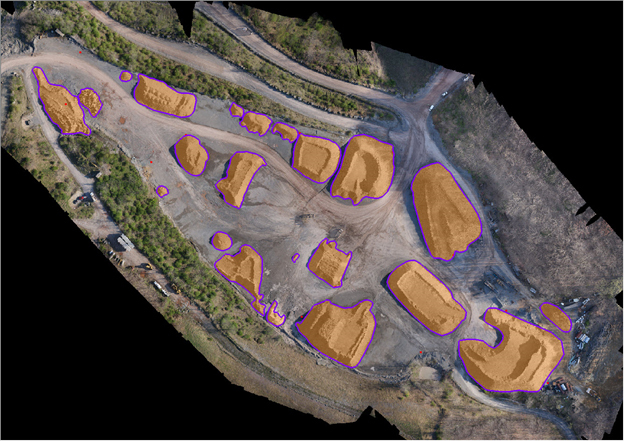 And increasingly we see UAV operators deploying Terrasolid to assist with their own point cloud workflows, whether LIDAR or imagery based. The focus of the industry is often on the what is new and different and exciting, on the “latest and greatest” so this week we thought we’d step back from the hype and hoopla and check-in with a long-time user of Terrasolid to see how this old workhorse of the LIDAR production shop is doing these days. 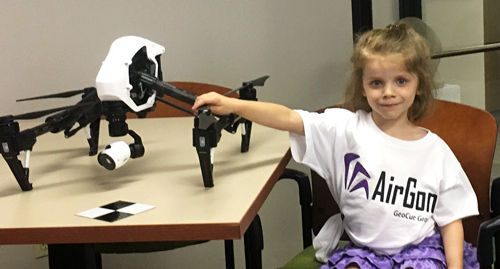 We spoke with Amar Nayegandhi, Vice President of Geospatial Technology Services at Dewberry. Dewberry has been using LIDAR commercially since 1998 – yes, 1998; Dewberry received the first LIDAR task order from the USGS under the Cartographic Services Contract (CSC) – and is well-known and well-respected in the industry. GeoCue Group sold our first seat of GeoCue and Terrasolid software to Dewberry more than 10 years ago back in 2007. 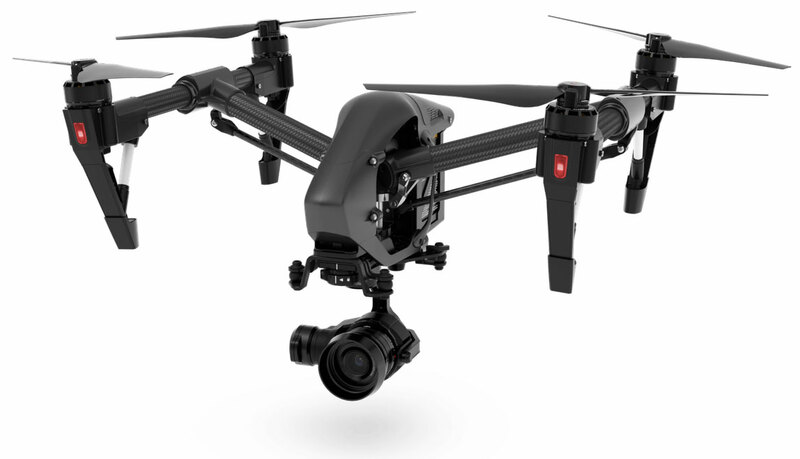 Dewberry is also a major user of our LP360 software along with many other commercial software tools that are available on the market; basically, they know their stuff when it comes to LIDAR software. What is the biggest benefit you get from using Terrasolid in your business? 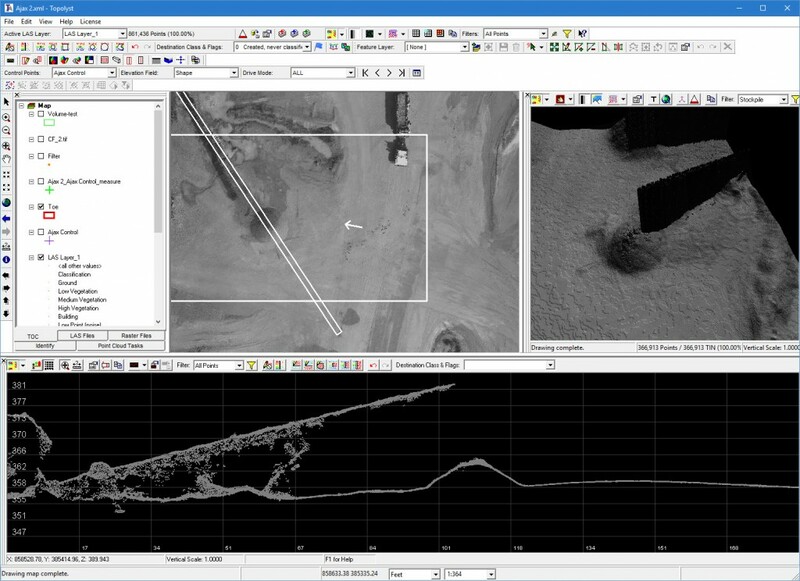 One of the biggest benefits of Terrasolid software is we can integrate the entire LIDAR workflow into our MicroStation CAD environment. Our geospatial and engineering professionals have a very good understanding of the CAD environment, which enables us to perform point cloud processing (TerraScan), surface modeling (TerraModeler), and sensor calibration (TerraMatch) directly in the CAD environment. Of the four modules, TerraScan is the primary point cloud analysis tool; where do you see it helping you the most? 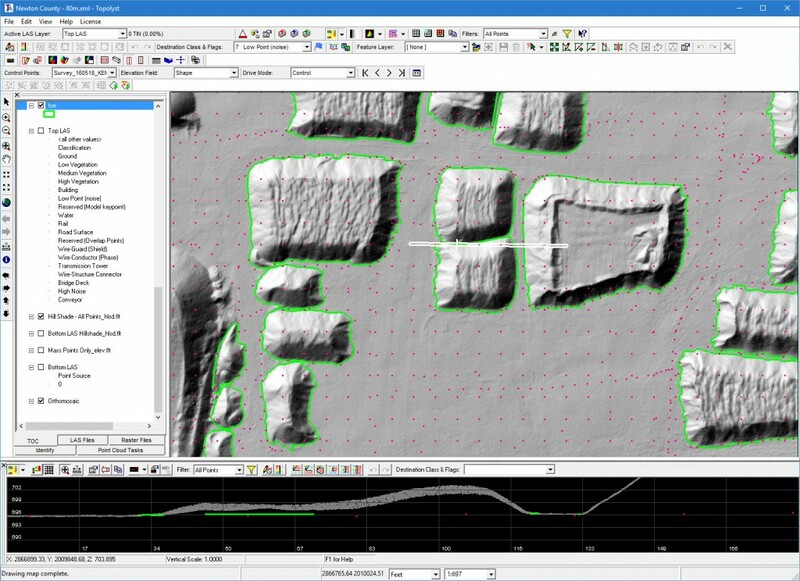 When we first started working with LIDAR data, just being able to load millions of points into our CAD software was a challenge that TerraScan solved for us. Now data sets are in the billions of points and expectations of basic point cloud functionality has evolved with the times. 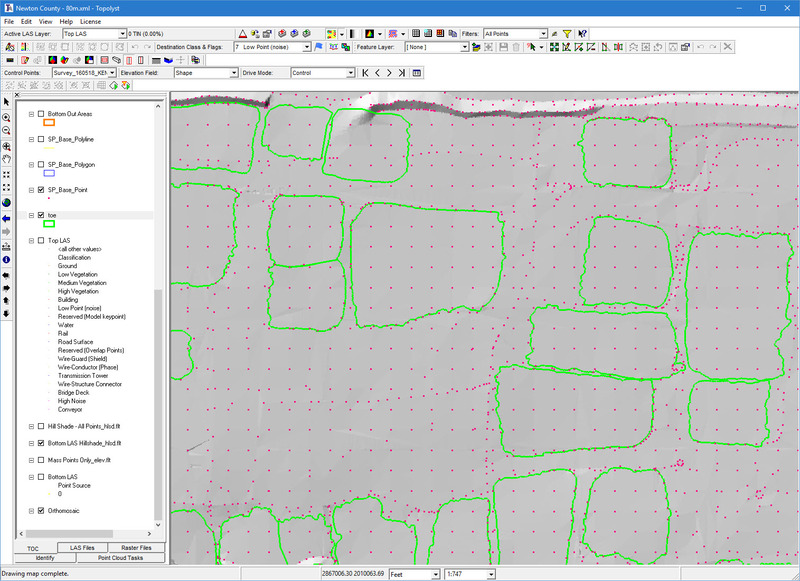 Still, the core functions we use TerraScan for haven’t changed much over the years – our biggest benefit is the automatic bare earth filtering using our proprietary macros developed through years of experience in processing LIDAR data in various environments. 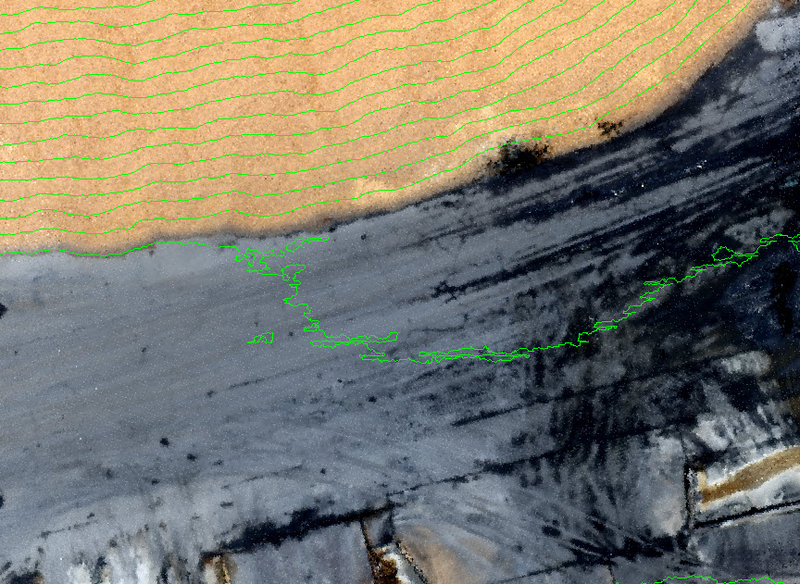 Some of the newer tools in TerraScan like Groups for spatial object classification or newer surface classifications for pulling ground from noisy UAV data are really helping as well. Project and data management tools are also big time-savers we often take for granted. 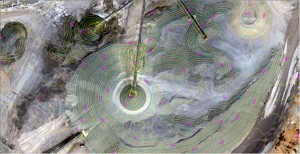 After TerraScan, what module do you find the most critical for your production? Probably TerraMatch. 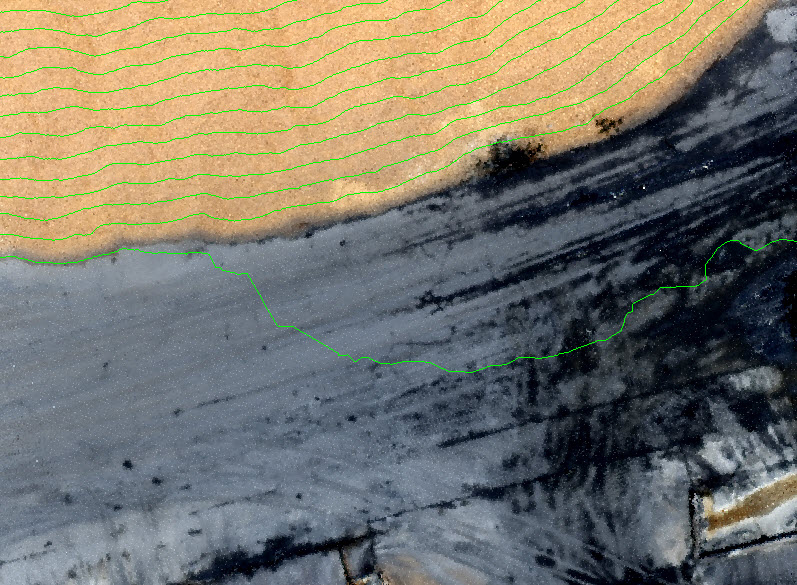 Sensor manufacturers have come a long way in having calibration and geometric correction built right into their pre-processing software, but TerraMatch gives us the ability to independently verify and correct the fit of the data. We often use TerraMatch to calibrate data in a project area that include multiple “lifts” because sensor-manufacturer software does not always produce the best fit over lifts that have variable GPS/IMU trajectory solutions. It is also vital for working with older data sets or subcontractor-provided data where we may have no visibility into the calibration processor – TerraMatch gives us an independent verification of goodness of fit. For mobile LIDAR data, with the GPS outage concerns and other aspects particular to driving around in a car as opposed to flying over in an aircraft, having a set of tools like TerraMatch for calibrating the laser scanners and the cameras is absolutely mandatory. Dewberry is a major LIDAR production shop in the US, certainly one of the biggest. That is a lot of staff and over the years, staff turnover is inevitable. 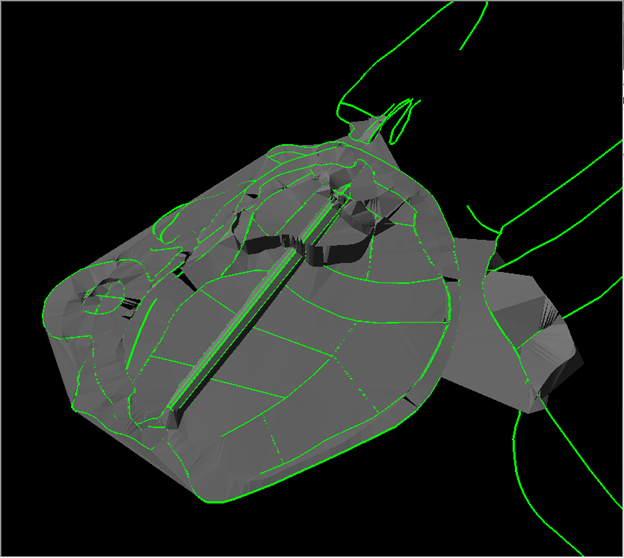 How do you find the learning curve for Terrasolid for new users? Well, like most engineering software, there are many, many buttons to learn and concepts to get straight in your head. We are processing more than 100,000 sq miles of LIDAR data this season, and though we don’t see a lot of turnover in staff, our staff has almost doubled in the past two years due to increased workload. So, we do face this issue of training our new staff, not just in Terrasolid, but also in understanding our entire production workflow. We have noticed that most new users come up-to-speed pretty quickly as we have them undergo an intensive one to two weeks of training and practice immediately after they are hired. It’s a huge plus if the new hires are already comfortable with the MicroStation environment. I would say a new user is productively working unsupervised after 30 days. They won’t be using the power tools or doing the complex workflows such as developing macros, but they will be productive with the basics like doing a bare earth extraction and editing the point cloud. And one of the hidden advantages of Terrasolid is that, unlike 10 years ago, you can find many candidates in the employment pool with significant hands-on Terrasolid experience already. Do see an alternative or any new contenders you might want to incorporate in your production to replace Terrasolid? Well, we do keep an eye on alternative software, and we do have other tools in our shop, which we use extensively; but for now we see no benefit to changing our workflow where we use Terrasolid. With our investment in the suite of bare-earth extraction macros developed by our analysts for various types of data densities, sensors, vegetation, above-ground features, and terrain, as well has the new and interesting features added regularly to the Terrasolid suite, we believe that Terrasolid is reliable, robust and just works to do what we need it to do. What’s the most interesting or unusual feature in Terrasolid you personally haven’t had a chance to use but would like to? TerraStereo? Viewing point clouds directly in stereo seems like it might have some interesting benefits.